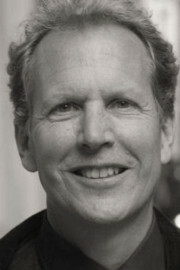 Tom Dishion received his Ph.D. in Clinical Psychology from the University of Oregon. Tom began his prolific career at OSLC as a research assistant to Jerry Patterson. His interests included understanding the development of antisocial behavior and substance abuse in children and adolescents, as well as designing effective interventions and prevention programs. In particular, he and colleagues examined the contribution of peer and family dynamics to escalations in adolescent substance use, delinquency, and violence. His intervention research focused on the effectiveness of family-centered interventions, and the negative effects of aggregating high-risk youth into intervention groups. He and colleagues developed and are testing an adaptive and tailored approach to family intervention, the cornerstone of which is the Family Check-Up. Most recently, Tom was Founder and Director of the REACH Institute, as well as Professor of Psychology, at Arizona State University. Prior to that, he was a research scientist at Oregon Social Learning Center. He published over 100 scientific reports on these topics, as well as books for parents on family management and for professionals working with troubled children and their families. Those who were lucky to work beside Tom know of his humility, generosity, and sweetness. He was a beloved mentor to many and will be widely missed.